Keeping your Fort Myers, Florida home energy efficient is essential to reducing your utility bills and lowering the carbon footprint of your house. One of the best ways to help improve the overall energy efficiency in your home is by having your air ducts sealed by an HVAC professional. What Does an Air Duct Sealing Entail? As your ductwork ages, you will begin to notice small cracks and leaks. Over time, these leaks will result in a significant amount of wasted energy as it takes more air and more work from your HVAC system to get your rooms to the proper temperature. To prevent this loss of energy, your HVAC technician can seal the inside of the ducts to help them better contain the air that is pushing through them. They will also make sure that vents and registers connected to the ductwork are sealed as well. 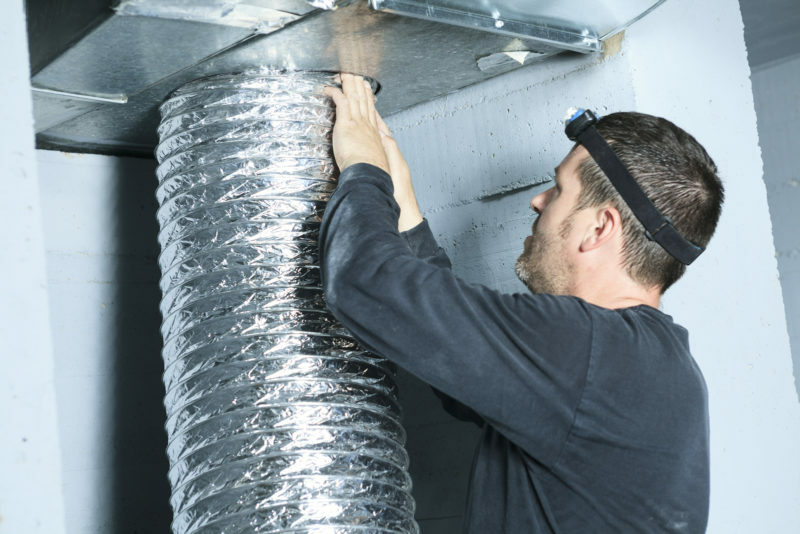 What Are the Benefits of Having Your Air Ducts Sealed? Aside from improving your energy efficiency, there are a number of other benefits you can enjoy by having your ducts sealed. By having your air ducts sealed, you will maximize the airflow throughout your home, allowing it to get each room to the desired temperature. Dust, insulation particles, and other outdoor chemicals can seep into your home through the various cracks and leaks in your air ducts. By sealing your ducts, you can keep these asthma and allergy triggers out and enjoy better indoor air quality throughout your home. Leaky or cracked air ducts results in energy loss. As the air leaks out, not only is it wasted but it causes your system to run longer to get the room to the proper temperature. With your HVAC system working more efficiently after having your ducts sealed, you will waste less energy. This will allow you to reduce your home’s carbon footprint and help the environment. Find out how duct sealing can benefit your home by contacting Certified Heating and Cooling Inc. at 239-205-8342 today to schedule your appointment.